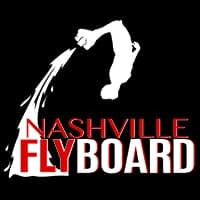 Nashville FlyBoard has served hundreds of Bachelor Parties & Summer Events! All of our events are unique, and customized to suit your group. Flyboarding is always a hit with a large group looking for a something new to try together, and is often described as the most fun to be had off Broadway. The most exciting and fun adventure experience in the entire southeast is guaranteed to please all by offering a unique experience everyone will pick up quickly, safely & easily! 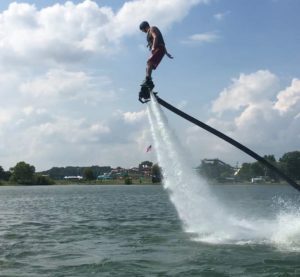 FlyBoard Crews to Serve More Summer Events & Lakes in Middle Tennessee 2018! Summer 2018, Nashville FlyBoard now offers even more of the best Flyboard Professionals to serve all locations in Mid TN & Upper Cumberland! Book a FlyBoard, or 3-4 FlyBoards, for half a day to the entire weekend. All equipment is provided, and will be delivered to you at the location of your choice. Service Areas include Center Hill, Tims Ford, Dale Hollow, Percy Priest, Old Hickory & More. Call (615) 580-9030 for scheduling your event, and we’ll have more Instructors available to serve your group. Book in advance to secure your date. Our crews will come to your private event, or, visit us at our Lakeside location inside Nashville Shores, just 15 minutes from downtown Nashville!